Young activists arrange protest, push Israeli solidarity to bring missing IDF soldiers home. The National Union Youth and the movement's Gaza Belt Headquarters recently expressed support for the families living in the Israeli towns near Gaza, as well as for the families of kidnapped and murdered IDF soldiers Hadar Goldin and Oron Shaul. The groups called to end the indifference to kite and arson terror and to work to return both the missing IDF soldiers and the region's peace. The party's youth and the other activists will protest on Friday, together with Gaza area residents. 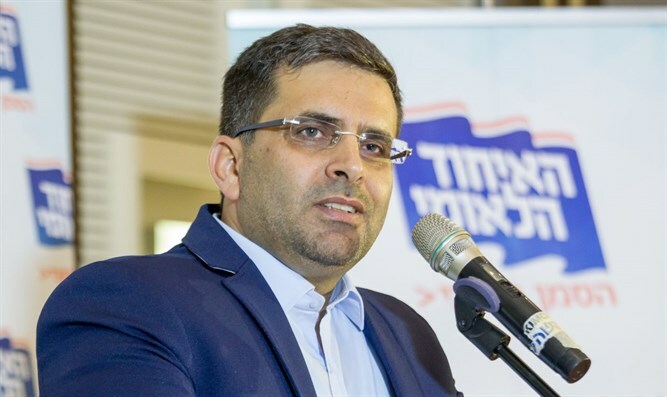 National Union Secretary-General Ofir Sofer said, "In Gaza, we need to be victorious. We need to stop stuttering and remaining silent in the face of the agricultural arson terror which is rampant, and rockets whenever they feel like it." "The fight to bring back our boys must be a fight of Israeli solidarity. We are obligated to bring them back. I call on everyone to join the fight to bring back our boys. It is our moral obligation. "Terror understands determination, and that is what subjugates it. We've seen that when, in one day, the enemy loses fifty terrorists, everything ends earlier than expected."